﻿ Eusébio: "Cristiano Ronaldo should ignore provocations"
15.11.2011 » Eusébio: "Cristiano Ronaldo should ignore provocations"
Over the last months, Cristiano Ronaldo has been victim of many provocations both in and off the field. Last weekend it happened in Bosnia, but it had also happened recently in Cyprus. Eusébio recommended Cristiano Ronaldo to always remain calm and to ignore all kind of insults and teasing that keep coming from a few fans. The legendary and former Portuguese player, Eusébio, expects that Portugal beats Bosnia later today in order to book their place in this summer's Euro 2012. Even though Cristiano Ronaldo isn't expected to have problems with provocations coming from the crowd this Tuesday, since the 2nd leg playoff will be held Lisbon (Portugal), Eusébio left a few advices for Cristiano Ronaldo so he may ignore the insults and the teasing from the crowd, in future games. Eusébio: "I don't want to give many advices to Cristiano Ronaldo, because he's old and mature enough to decide already. However, I'm his friend, I'm older and if I'm allowed to say anything on this matter, I would say that Ronaldo should ignore this sort of provocations we've all been witnessing", recommended Eusébio just before previewing that things won't get any easier for the Portuguese player in the weeks and months to come, since FIFA's Balon d'Or winner will be announced in January 2012. Inevitably, Eusébio was also asked to comment about what he thinks of this "Messi and Ronaldo battle" for the best player in the world status. However, the 69-years old and former Portuguese player dodged the question and preferred to go back in time and compare himself with the Brazilian Pelé. 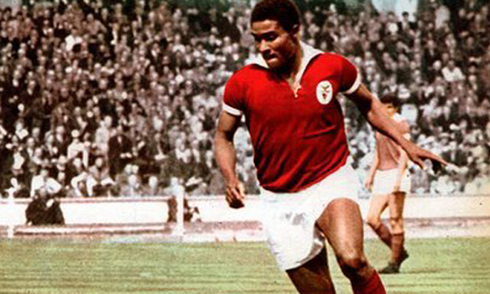 Eusébio: "Back then, people used to call me "Europe's Pelé" and I never got upset with that. But why wouldn't people call him "South America's Eusébio" instead? ", joked Eusébio, before concluding his thoughts with a few notes: "The only World Cup where both me and Pelé participated at, was England's 1966, where I managed to finish as the competition top goalscorer. I'm convicted that I just didn't win as many titles as Pelé because I wasn't born in Brazil." Returning to the Cristiano Ronaldo's provocation topic, there were also a couple other important figures and personalities in Portugal who commented the matter, in an attempt to encourage and motivate the Portuguese player. The first one was SL Benfica's football director and former Portuguese player, Rui Costa, followed by Manuel Alegre, a reputed politician and poet. Rui Costa: "Portuguese fans shouldn't whistle Cristiano Ronaldo no matter what. I'm sure that Ronaldo, more than anyone else, will want to help Portugal beating Bosnia this Tuesday, which would allow us to be in the Euro 2012. The fact that he is provoked and teased by other countries fans is just a sign of how important he is. What can't happen at any time and any circumstance, is that our own crowd turns against him and start whistling him too", requested the 39-year old Benfica's football director. Rui Costa: "Cristiano Ronaldo is the best player in the World, or just one of the best according to a few people. He's the captain of Portugal and we have to feel proud of having him with us. We can't expect him to decide every game all by himself, but we should always have in mind that he's giving everything he can to help the team assuring its presence in the EURO 2012", said Rui Costa, who's words were very similar to the ones spoke by Manuel Alegre. Manuel Alegre: "This Tuesday, the crowd's support will be crucial. It would be great if Cristiano Ronaldo could hear his name being chanted for once, instead of hearing those "Messi, Messi" shouts. I think the Portuguese fans should pay him a nice tribute because he has done enough to deserve it already. Moreover, Ronaldo dedicated his 2nd Golden Shoe to the Portuguese people, just a few days ago, when he received the award in Madrid. It would be a nice moment if we could hear 60.000 people screaming for "Ronaldo, Ronaldo" in tonight's game against Bosnia-Herzegovina." The Portuguese politician still had a few negative remarks towards the Portuguese people, saying that a few persons on the country still envy those who have success in life. "It's a flaw that we have for centuries. This will be a decisive game and Cristiano Ronaldo must be encouraged, specially after what he has been through in both Cyprus and Bosnia", pointed out Manuel Alegre. 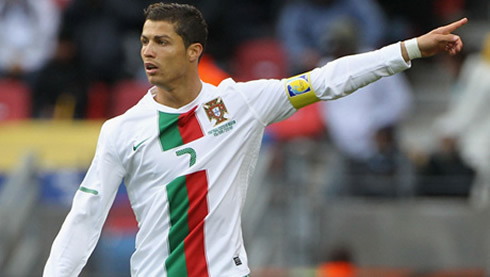 Cristiano Ronaldo is ready to play against Bosnia, in game to be held in Lisbon, Portugal, this Tuesday (15-11-2011). You can watch Juventus live stream, Portugal vs Bosnia, for the 2nd leg of the EURO 2012 playoff, in our football live streams section. Real Madrid next match is against Valencia, for La Liga, in the 19th of November 2011.